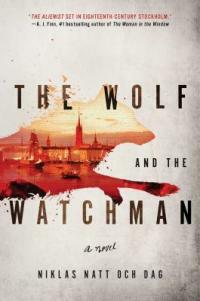 Named Best Debut Novel of 2017 by the Swedish Academy of Crime Writers, and is pegged one of this year’s best books by the Washington Post, The Wolf and the Watchman * by Niklas Natt och Dag will appeal to readers of Nordic crime fiction and historical mystery alike. Stockholm, autumn 1793. Night watchman Mickel Cardell was roused from a drunken stupor to pull a floating corpse out of the Larder, once a pristine lake on Stockholm's Southern Isle, now a rancid bog. Cecil Winge, a young lawyer dying of consumption, was entrusted to solve this heinous crime where the body showed signs of prolonged torture. Aided by Cardell, the pair had little to go on beyond a scrap of fabric with an unusually design and the sighting of a green sedan chair. Eventually their painstaking investigation led them to the Eumenides, an ostensibly charitable upper-class organization. Winner of the Prix du Roman des etudiants France Culture/Telerama; the Prix Roman France Televisions; and the Prix Emmanuel-Robles, Waiting for Bojangles, Olivier Bourdeaut’s debut is “at once delightfully whimsical and hugely touching.” (Library Journal) It is told from the perspective of a young boy who shares a grand Paris apartment with his eccentric parents and an exotic pet crane named Mademoiselle Superfluous. George and Louise (though she was never called by the same name twice) met and married on a whim. She was beautiful and quite mad, and he was indulgent and smitten. He sold his businesses (quite profitably) so they could stay home, have wild parties and dance all night to Nina Simone’s “Mister Bojangles.” When the teachers did not approve of the boy’s tardiness and unexplained absence, they chose to keep him home. Suggested readalikes: Love in Lowercase by Francesc Miralles, and The Rosie Project by Graeme Simsion. Two years after losing his wife Francine to breast cancer, Arthur Alter is about to lose his home too. An un-tenured Engineering professor struggling to keep his job at a private university in St. Louis, he no longer could afford his too-large house. His two grown children have flown the coop, right after the funeral - taking with them their not-too-shabby inheritance from Francine (Arthur was written out of the will when she discovered his affair with a younger colleague). Closeted in his expensive Brooklyn apartment, 31-year-old Ethan is in debt, having quit his consulting job, and addicted to online shopping. Maggie, a recent grad and a would-be do-gooder, embraces self-imposed poverty(and starvation) by taking low-paying jobs in her Queens neighborhood. When Ethan and Maggie accept Arthur’s invitation for a home visit, none of them suspect the others’ secret agenda for this reunion. 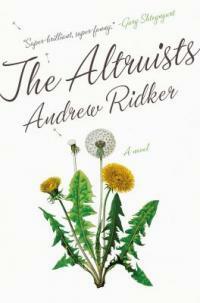 “Ridker spins delicate moral dilemmas in a novel that grows more complex and more uproarious by the page, culminating in an unforgettable climax.” (Entertainment Weekly). A readalike for The Nest by Cynthia D’Aprix Sweeney, and The Heirs by Susan Rieger. For another Midwestern America family saga that confronts the divide between baby boomers and their millennial offspring, try The Middlesteins by Jami Attenberg. Oksana, Behave! 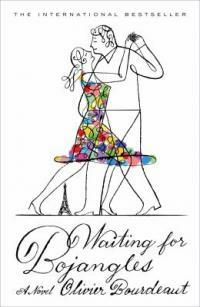 By Maria Kuznetsova is a Russian American girl’s bumpy path to adulthood. When Oksana visits her grandmother in Yalta and learns about her wartime past and her lost loves, she begins to see just how much alike she and her grandmother are, and comes to a new understanding of how to embrace life and love without causing harm to the people dearest to her. “An immigrant’s coming-of-age tale done with brio.” (KIrkus). Will appeal to fans of The Russian Debutante's Handbook by Gary Shteyngart. 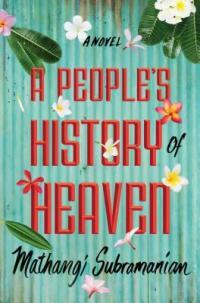 A People's History of Heaven is award-winning author Mathangi Subramanian’s first novel for adults. Heaven is a slum at the heart of Bangalore. Once marked by a sign that said ”Swargahalli”, but thirty years later, all that’s left is the word swarga, as in Sanskrit for Heaven. Now the bulldozers are back, ordered by the government to raze the rest of the ramshackle neighborhood to make room for new high-rises. For fifteen-year olds Deepa, Banu, Padma, Rukshana and Joy, it is home and the closest thing to heaven they have known. As a bulldozer flattens Banu's home, they spring into action. Joined by their mothers who are no strangers to hardship, “they form a human chain, hijabs and dupattas snapping in the metallic wind, saris shimmering in the afternoon sun”. Going back in forth in time, we come to know these young women as classmates in the government-sponsored school and best friends. Banu is a talented artist who risks everything to cover the city in protest graffiti; Deepa, visually impaired, is a gifted dancer and a keen observer; transgender-Joy, (born Anand), is the scholar in the group and a Christian convert; Rukshana, a queer Muslim tomboy, is fiercely loyal; and Padma, a migrant from the countryside must shoulder the care for her illiterate family. Their mothers’ stories are all the more heartbreaking… In a culture that does not value women, they endure abuse, abandonment, poverty, compounded by the lack of an education. They are “(a)ngry, unforgiving goddesses… the kind that protect their daughters”. 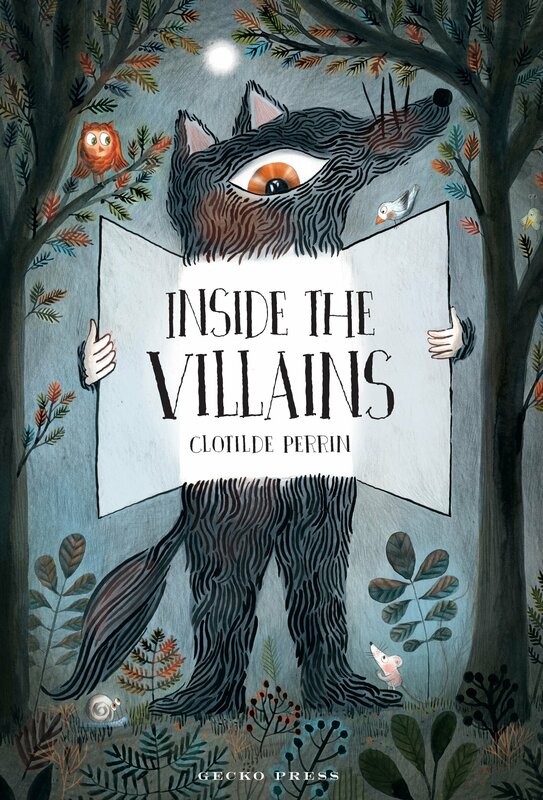 Discover what lurks under the surface of some of your favorite bad guys in Inside the Villains, by children's illustrator Clothilde Perrin. Want to know what a witch reads, or what a giant keeps under his hat? Inside the Villains has the answers you seek. This genuinely awesome pop-up book is chock-a-block full of extraordinary detailed illustrations, very clever moving parts, and all sorts of fun 'informative facts' about some of the world's most famous fairy tale scoundrels. You'll find Inside the Villains in our youth area, in the folklore and fairytales section. 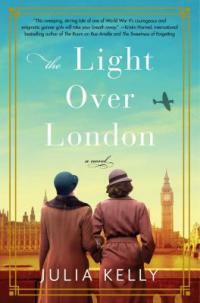 The Light Over London, a departure for Julia Kelly from her historical romances (and the racy contemporary romances written as Julia Blake), is a charming imagining of the Ack-Ack girls - members of the British Auxiliary Territorial Service (ATS) that helped operate Anti-Aircraft Guns in the defense of Britain from German bombing raids during WWII. Newly-single antique dealer Cara Hargraves uncovers a tin of letters, photographs and a WWII-era diary while preparing a manor house for an estate sale. Examining the contents, Cara is intrigued and hopes to return it to its owner (identified only as L.K.) or her family. She also hopes the diary might encourage her grandmother to share her own war secrets. With little success, she reluctantly accepts the help of her new neighbor Liam (dishy and single), a history academic. In 1941, 19 year-old Louise Keene, a shop assistant, lived with her parents in an isolated Cornish village. Bright and ambitious she yearned for a larger life and was readily wept off her feet by Flight Lieutenant Paul Bolton, a dashing RAF pilot stationed at a local base. When Paul was deployed, Louise ran away to London to join the women’s branch of the British Army as a Gunner Girl. Louise and Paul wrote to each other and even married during a weekend leave, until a bundle of her letters to him were returned unanswered. “Kelly has crafted two convincing, conflicted heroines in Cara and Louise, and the resolution of Louise's romance is satisfyingly empowering. Hand this to fans of Jennifer Egan's Manhattan Beach (2017) and other tales of the vital roles played by women in wartime.” (Booklist) The Alice Network immediately comes to mind; and don't forget The Lost Girls of Paris, the latest from Pam Jenoff. 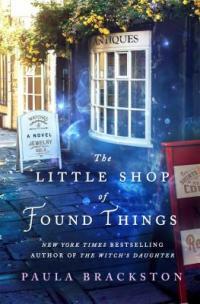 The Little Shop of Found Things (Overdrive eAudio download) was the perfect companion on a recent long car trip. A bewitching tale of love across centuries, this first in a new series from Paula Brackston will appeal to fans of Diana Gabaldon’s Outlander series. Desperately needing a fresh start, Xanthe and her mother Flora Westlake arrive in the picturesque town of Marlborough in a vintage London taxi, throwing themselves and their future into the little antique shop they just purchased. On a restocking trip, Xanthe is drawn to an exquisite silver chatelaine. Being endowed since birth with the unique gift of psychometry, Xanthe senses the chatelaine's role in a tragic affair. Then a malevolent ghost haunting the mysterious blind house at the edge of her property threatens Xanthe - if she does not travel back to the 17th century to save a young servant girl from an unjust death, the ghost will hurt the ailing Flora. Casting herself as a traveling minstrel to gain entry to the Lovewell estate, Xanthe works tirelessly alone to find the missing pieces of the chatelaine in order to prove the girl’s innocence, until she meets the resourceful young architect Samuel Appleby. But he may also be the one reason Xanthe cannot bring herself to leave. “Brackston wonderfully blends history with the time-travel elements and a touch of romance. This series debut (in the print format) is a page-turner that will no doubt leave readers eager for future series installments.” (Publishers Weekly). For your further listening pleasure, try The Psychology of Time Travel by Kate Mascarenhas, a debut novel. 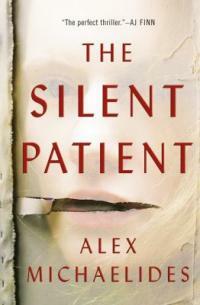 Chosen to launch a new MacMillan imprint, Celadon Books, The Silent Patient is an “edgy, intricately plotted“ (Publishers Weekly) psychological thriller, and marks screenwriter Alex Michaelides’ fiction debut. Six years after shooting her husband Gabriel in the face, the once “dazzling, fascinate and full of life” artist Alicia Berenson is at The Grove, a "secure forensic unit" in North London, heavily sedated. She still has not spoken a word since that fatal night - her only communication being a provocative self-portrait entitled Alcestis, a character in an Athenian tragedy. Newly appointed criminal psychotherapist Theo Faber has waited a long time for the opportunity to work with Alicia. Obsessed with getting Alicia to talk and to uncovering her motive for murdering her prominent fashion photographer husband, Theo secretly conducts his own investigation into Alicia’s past, looking for clues and connections. But when Alicia finally opens up to Theo, the truth might just consume them both. 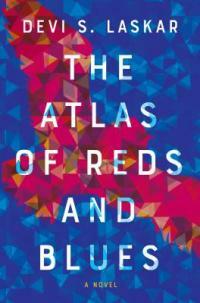 The Atlas of Reds and Blues,* poet Devi S. Laskar’s fictional debut is at once powerful, difficult, yet timely and necessary reading. Drawing on the author’s own experience, the narrative takes place over the course of a single morning, as a woman, known only as Mother lies sprawled on her driveway in an upscale Atlanta suburb, bleeding from a gunshot wound. Will appeal to fans of The Hate u Give by Angie Thomas.